Now is the perfect time to visit wineries in Idaho’s three designated AVAs (American Viticultural Areas). Mix and match any of these 14 stops on the Sunnyslope Wine Trail in southwest Idaho to create the perfect wine weekend getaway. Browse the list below to craft your perfect pairings. Views for miles at Bitner Vineyards. Photo Credit: Kim Fetrow. Bitner Vineyards sits atop a hill with a wonderful view of the Snake River Valley, a great place to sit outside and enjoy lunch. Ron Bitner, a bee biologist, is considered one of the godfather’s of Idaho’s wine industry. When you visit, ask him about his truffle trees and special truffle dog. Martin Fujishin grew up on a family farm in Eastern Oregon and has been making Fujishin Family Cellars wine since 2009. Fujishin strives to represent the best of the Northwest with quality wines and an exceptional guest experience. HAT Ranch Winery is named after a family ranch established in 1902 and delivers wines of distinction. Their Dry Moscato is a must try. Hells Canyon Winery & Zhoo Zhoo Wines is a family owned and operated producing estate, growing vines and making wine since 1981. The winemakers produce high-quality, sustainably farmed and well-balanced wines under two labels. Gregg and Mary Alger, owners of Huston Vineyards, started in 2007, the year the Snake River Valley AVA was established. Ask to hear how Chicken Dinner Road got its name while enjoying their wines in their boutique winery and vineyard located at the entry point of the Sunnyslope Wine Trail. Bill Stowe of Indian Creek Winery is another godfather of the Idaho wine industry and has been crafting premium wines for over two decades. Come visit the eclectic tasting room offering wine-inspired gifts for all your wino friends. Koenig Vineyards expanded and built a new tasting room with beautiful views in 2016. While visiting, be sure to take in the view from the tower and taste complimentary samples of their award winning wines. 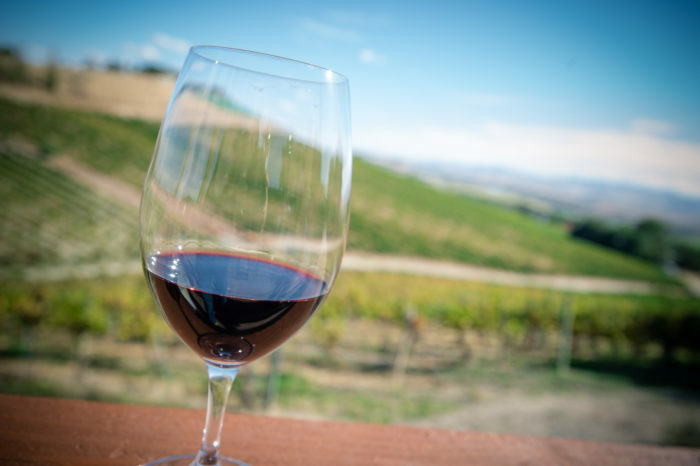 Parma Ridge Winery is a great stop to enjoy a variety of estate wines and small bites. This winery also offers a beautiful vineyard space for events. Sawtooth Winery is tucked away on an unassuming hilltop and produces about 10,000 cases yearly of exquisitely crafted wine. The panoramic views of the surrounding valley are spectacular. 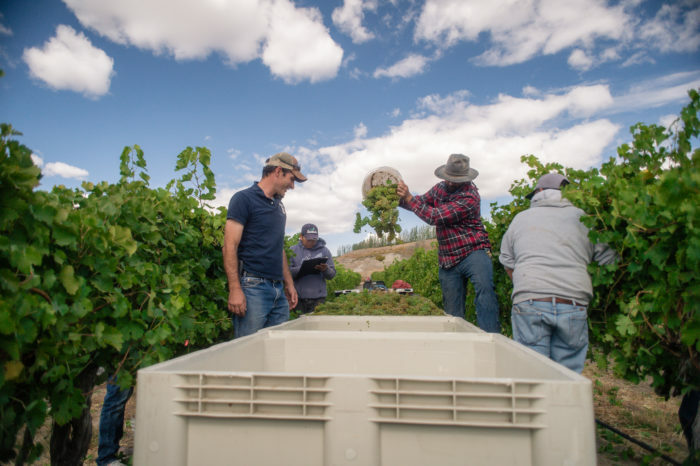 SCORIA Vineyard and Winery is new to the Idaho winery scene and cultivates red varietals from a hilltop in the Snake River Valley. The tasting room offers views of the Owyhee Mountains in a contemporary atmosphere. Ste. 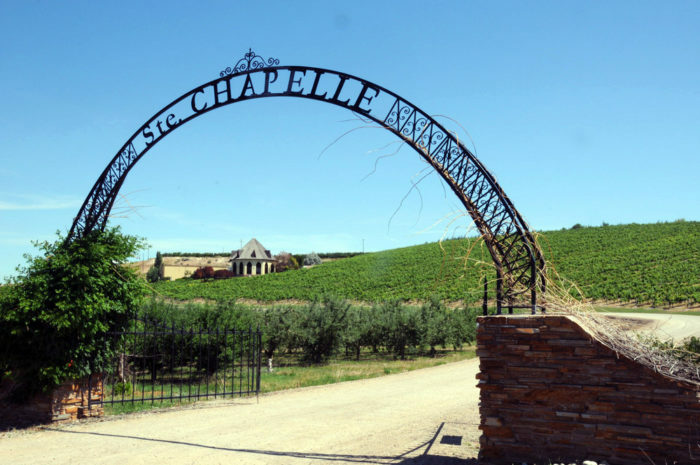 Chapelle Winery, Idaho’s oldest winery, is known for producing outstanding wines from the Snake River Valley AVA. The winery produces Riesling, Chardonnay, Sauvignon Blanc, Merlot, Cabernet Sauvignon, and Syrah. Syringa Winery and Vizcaya Winery share a location in Kuna so you are able to enjoy two Idaho wineries at the same stop. Vizcaya is a boutique winery with unique award winning wines and Syringa was conceived out of love for wine, winemaking and the winemaker lifestyle. Williamson Vineyards has a new location for their tasting room and has been family owned and operated for generations. It’s all part of the process at Williamson Vineyards. Photo Credit: Kim Fetrow. Keep in mind, tasting fees may apply at stops on this route. To check out a map of this wine region and for more information on other Idaho wineries, click here. If you fall in love with an Idaho wine while on your weekend wine adventure, don’t hesitate to take it home. Idaho Wines Fly Free from the Boise and Lewiston Airports. For all the details on Idaho Wines Fly Free program, click here. Please drive responsibly and designate a sober driver. Feature image credited to Kim Fetrow. Brenna Christison is a self-proclaimed social media buff and chocoholic whose favorite wine varietal is Riesling. She’s moved up the ranks of the Idaho Wine Commission and has a passion for sharing the good news about Idaho wines. Brenna is a guest contributor.